WAILUKU » When Ray Nishida began working as a laborer at Maui Land & Pineapple Co. Inc. more than 30 years ago, tens of thousands of acres of pineapple fields were planted on several Hawaiian islands. But Nishida, 51, who among some 120 workers received layoff notices at the company's canning plant in Kahului, said he knows he's going to have to be flexible in looking for work, because his factory is the last pineapple fruit canning plant in the state and probably the nation. "I can't be picky. I'll take whatever pops up," said Nishida, who has mortgage payments and a daughter in high school planning to attend college. 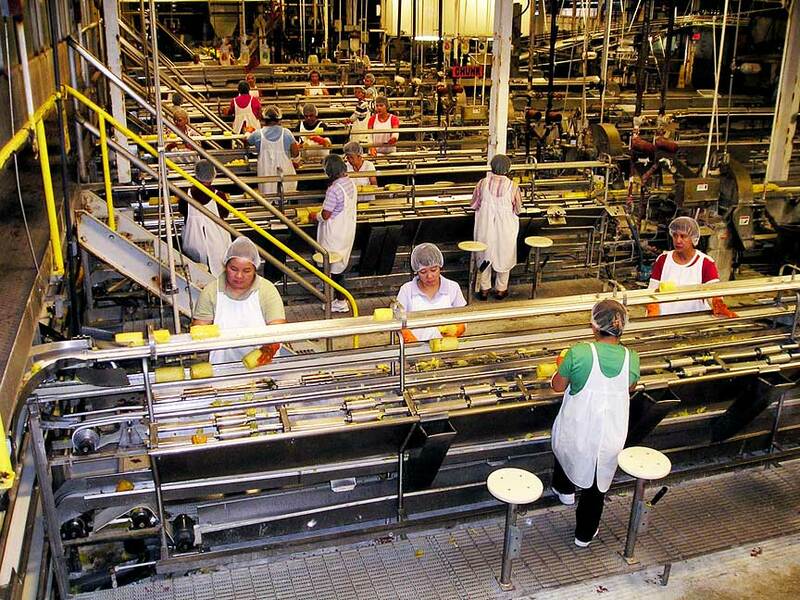 As pineapple cannery workers gird for the layoffs at the end of June, state labor officials are looking at ways to ease the transition to new employment and offer re-training. Officials plan to meet with the pineapple canning workers on Monday to assess their skills and help them begin to look for employment. The unemployment rate -- 2.5 percent statewide and 2.1 percent on Maui in March, compared to 4.4 percent nationally -- is on their side. 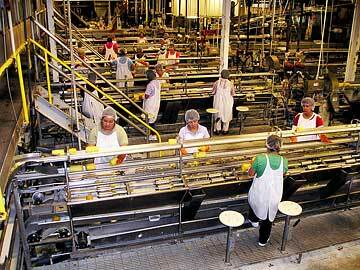 "Jobs are definitely available out there," said Kevin Kimizuka, the state workforce manager on Maui. But the kind of work available in Hawaii has shifted in the last quarter century. Other companies that once produced canned pineapple have either shut down their operations or shifted them to foreign countries with cheaper labor. MLP, which began planting pineapple on the Valley Isle in 1890 and whose controlling interest was purchased by America Online founder Steve Case in 1999, plans to continue canning only juice and is shifting its agricultural division toward more lucrative fresh-pineapple production. Kimizuka said finding jobs for cannery workers on the Valley Isle may not be as easy as obtaining employment for hotel workers, such as the 100 people who sought employment after the shutdown of the Kapalua Bay Hotel, part of the redevelopment of the Kapalua resort area by MLP's real estate division. He said many workers in a manufacturing plant tend to do repetitive jobs and have limited English-speaking skills, and growing number of service jobs on Maui require interaction with customers. Cinde Dunham, an employment agency executive on Maui, said while there are many jobs, some laid-off workers may have difficulty finding the kind of wages and benefits offered by MLP. Dunham, the branch manager of Employment Experts in Wailuku, said she has been actively looking for employees to fill vacant positions but had some difficulty because of the wage level offered by employers and the high cost of living on Maui. "The wages -- they could be higher -- That's for sure," Dunham said. Bundy Cabading, a Maui Pineapple sanitation worker, said while he's willing to take any job to support his family, he'll miss his current work because it provides medical and dental benefits and also is the highest paying employment he's had -- a little more than $12 an hour. Cabading, 21, who has worked at the firm for about a year, said prior to the sanitation job, he was earning $7 to $8 an hour at fast-food restaurants. 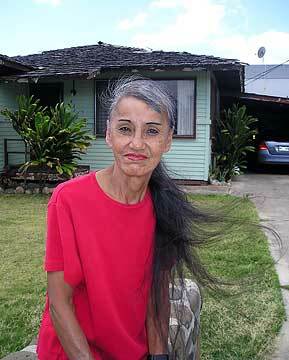 Julie Davis, 68, who has worked at Maui Pineapple for more than 40 years, said she doesn't want to retire and plans to look for employment after the layoff. Davis, who works as a canning inspector, said she's paying off a new car loan and wants to find an employer that provides medical benefits. She said she doesn't take any medication and her health has been good because she's continued working. "Everybody says once you retire, your body starts going downhill," Davis said.